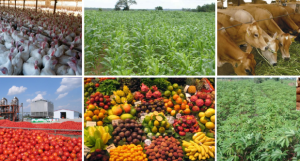 The agricultural potential of Nigeria is barely being tapped and this explains the inability of the country to meet the ever increasing demand for agricultural produce. Still, the agricultural sector remains a dominant employer of labour, thus opening windows of investment opportunities. With over 84 million hectares of arable land, abundant water and manpower, Nigeria can easily become a major player in global food and agricultural markets.